Four years after Uruguay became the first nation in the world to legalize recreational cannabis, officials announced that a call for applications to grow nonmedical marijuana for commercial purposes will go out Feb. 11, 2019. Uruguay currently has two growers, and this round could add up to five additional licensed producers (LP). Supply issues have hampered development of the global pioneer’s recreational marijuana market, as access to legal product has been sporadic. “With a constant growing number of registered users, we identified that the bottleneck has been the production part of the supply chain,” Martin Rodriguez, executive director of the Institute for the Regulation and Control of Cannabis (IRCCA), told Marijuana Business Daily. Diego Olivera, head of Uruguay’s National Drugs Council, said that the goal of adding new producers is to increase production and shorten the gap between supply and demand. 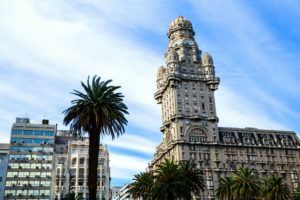 “Uruguay is very close to achieving the goal of incorporating all frequent users of cannabis into the legal framework, reducing significantly the illicit market,” he said. Aurora Cannabis of Alberta, Canada, recently announced the acquisition of ICC Labs, one of the two existing LPs that grow recreational cannabis. New licensed producers will cultivate under the same conditions the two existing growers are operating under. Applicants likely will have to pay $5,000 to participate in the tender process, though this could be adjusted before the date the offer is released. That figure does not include the actual license fee. Approved growers will have a production quota of 2,000 kilograms (4,400 pounds) per year of dried flower. No other products will be allowed. Each producer will be assigned a field of roughly 3 hectares, located next to the existing LPs on government-owned land. LPs will be responsible for internal security, but external security of the field will be provided by the government. Marijuana must be grown indoors or in a greenhouse, with the capability of controlling temperature, light and humidity. Only the strains provided by the government can be grown. The government will provide tracking software, as well. UNIT ISO 9001/2015 certification – a quality standard – by an external certified agent is mandatory. LPs must have at least one pharmaceutical chemist, an agronomist and a quality-control expert with experience in good practices. Applications must include estimated investment and other financial information, including the origin of funds. Growers that receive authorization will be responsible for delivering their product to pharmacies for sale. While the price was not included in the preliminary announcement, observers expect that new LPs will have the same pricing rules as existing ones. Currently, a gram of cannabis is being sold for $1.30 in pharmacies, of which about 90 cents goes to the producer. A small fraction goes to the government, with the pharmacy receiving the rest. Only two strains are being grown commercially in Uruguay, and both varieties are capped at 9% THC. According to IRCCA, nearly 32,000 people are registered to legally buy recreational cannabis in Uruguay. Of these, 23,620 effectively bought in pharmacies at least once since the beginning of sales in July 2017. The average monthly purchase was 7.8 grams/month per buyer. For the months of August and September, the industry saw an uptick in purchases, with 13,132 people buying an average of 12.9 grams/month.